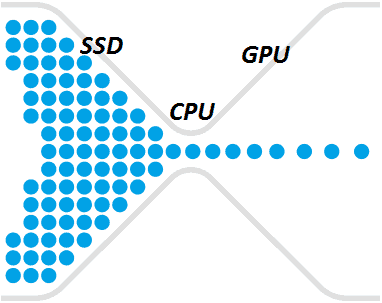 The central processing unit, or CPU, is the very core of every computer, be it a desktop, a laptop, a tablet, a phone, or any other type of device. But just how important is a CPU in a gaming PC? In this article, we’ll be presenting you with a selection of the very best CPUs for gaming that you can get in 2019, as well as a short guide that will answer some common questions that you might have and help you choose the one best-suited to your needs. In the first category, we take a look at two highly affordable budget CPUs. These are the most affordable CPUs that are still wholly viable gaming solutions that will offer solid performance at low prices. Granted, cheaper CPUs do exist, but anything cheaper than what we have here is bound to lead to some GPU bottlenecking and would hardly age well. So, here are two of the best budget CPUs for gaming, one from Intel and one from AMD! 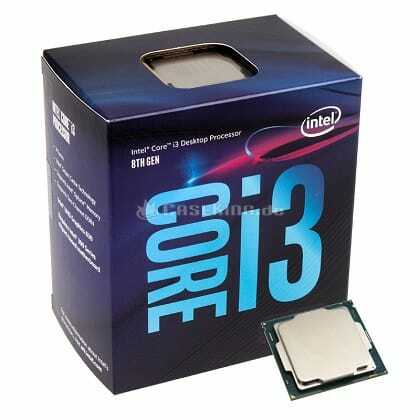 The first entry on this list is also the first 8th generation Intel Core i3 CPU in the series. Unlike the 7th generation i3 models which were all dual-core processors that relied on hyperthreading as a means of matching quad-core performance, the newer i3 CPUs all have 4 physical cores. This change was made in no small part thanks to the new competition that came from AMD’s Ryzen in 2017. In any case, the Core i3-8100 is an excellent budget CPU, and we’ll see exactly why. Overall, the i3-8100 is a powerful budget contender. It has four physical cores, a high base clock speed, is very power efficient, and comes with a decent integrated graphics solution, though this will be of little concern to gamers though it is still quite convenient to have. It’s also worth noting that the i3-8100 comes with Intel Optane support, which can enhance system performance with the help of small caching SSDs, thus making it an affordable and a decent enough alternative for “actual” SSDs, though this isn’t as relevant a feature now that SSDs are cheaper than ever before. In any case, we have one issue with this CPU, and it’s the overclocking. Namely, the i3-8100 can only be overclocked via BCLK when used with some of the pricier motherboard chipsets, and needless to say, if you’re going with a budget CPU, you will likely want to get a more affordable motherboard as well. Next up, we have a second-generation Ryzen model from AMD – the Ryzen 3 2200G, and is it a good one. On paper, it seems more or less identical to the i3-8100: both are 14nm quad-core CPUs, both have integrated graphics, operate at similar clock speeds and have the same TDP. However, there are a couple of differences which ultimately make the Ryzen a more appealing budget pick, at least from our point of view. So, how is it that the Ryzen 3 2200G is better than the i3-8100? Well, there are several reasons: not only is it unlocked and has better integrated graphics, but is cheaper to boot. So, since the CPU is unlocked, it can be easily overclocked with any AMD chipset that supports overclocking, and most do. However, this particular model isn’t that great in the overclocking department, but when it comes to the other two things mentioned above, it’s a whole other story. Namely, there’s the Vega 8 graphics which, to put it bluntly, leaves the Intel UHD 630 in the dust, easily outperforming it by more than 100% in many games. 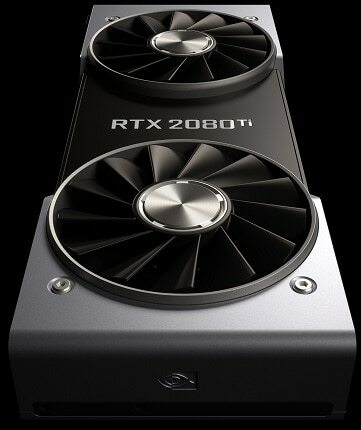 While this is little more than a convenient backup for the majority of gamers who will invest in a dedicated GPU, those on a very tight budget will be pleased to know that this CPU alone can handle 720p gaming quite well. 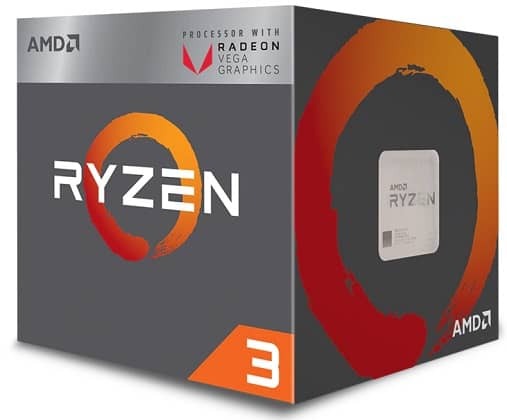 And finally, it should be noted that the Ryzen 3 2200G can easily be found for about $20 less than the usual price of the i3-8100, all the while offering comparable CPU performance and immensely better integrated graphics. The only real qualm we have with this CPU is not to do with the CPU itself, but with the bundled cooler. Stock coolers are rarely any good, and if you want to overclock the Ryzen 3 2200G, you’ll need something with a bigger heatsink. Luckily, finding a good aftermarket cooler is neither difficult nor necessarily expensive. Mid-range CPUs are usually the best solutions for gaming PCs. They strike a good balance between price and performance, ensuring that the pricing is approachable enough for mainstream consumers and that the CPU itself is powerful enough to handle even high-end GPUs and, potentially, some professional software. For the first entry in the second category, we have a 9th generation Intel CPU, and a rather powerful one – the Intel Core i5-9600K. Like the previous generation, this is still a 14nm CPU, although it does nonetheless present a significant upgrade over the more affordable budget models due to the higher core count and the fact that it’s unlocked. 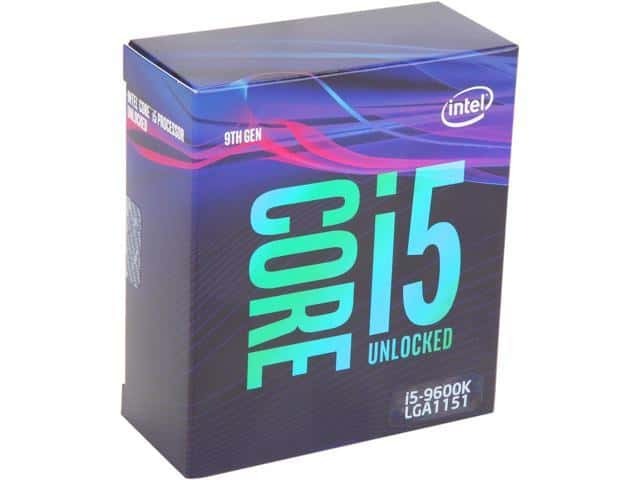 In terms of single-core performance, the i5-9600K is one of the most powerful mid-range CPUs, although it’s not quite as good when it comes to multitasking as some more modestly-priced Ryzen models are. As already mentioned in the introduction, it is unlocked, meaning that it can easily be overclocked with any chipset that supports overclocking. Also, like the i3-8100, it supports Intel Optane technology. Ultimately, the chief issue with this CPU is the pricing. It is on the pricey side for a mid-range CPU, and we definitely would have liked to see hyper-threading at this price point, which would definitely have helped cement it as the best mid-range gaming CPU. Nonetheless, it’s single-core performance is still unmatched, which makes it a mid-range solution worth considering. As for the second entry in this category, we have a more affordable Ryzen alternative, like before. 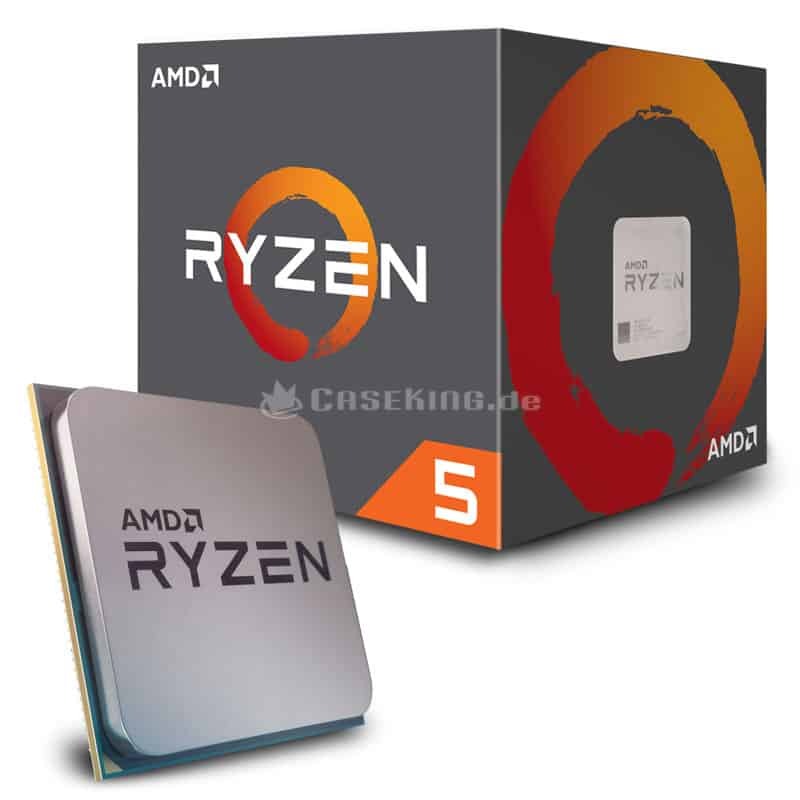 The Ryzen 5 2600X presents great value in the mid-range, as it is a very competent CPU which is not only unlocked but also outperforms the more expensive Intel models in regards to multitasking, all the while not lagging too far behind in terms of single-core performance. As you can see, with a 2600X, what you get is a 12nm CPU with a total of 12 threads which is unlockable and quite a bit cheaper than the i5-9600K. Granted, it does lag slightly behind Intel’s offering when we take single-core performance and overclocking into account, though we feel that the lower price and improved multitasking more than make up for this minor shortcoming. Now, unlike the cheaper Ryzen 2200G model, and unlike all of Intel’s Core series, the 2600X doesn’t have an integrated graphics solution. 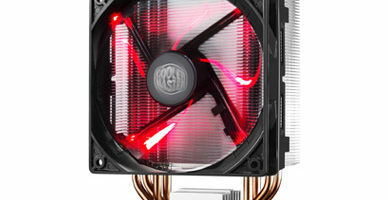 However, what it does come with is a solid cooler which, while it is by no means as good as some affordable aftermarket coolers, still provides a fairly quiet and well-performing cooling solution for those who don’t want to invest extra in a third-party cooler. 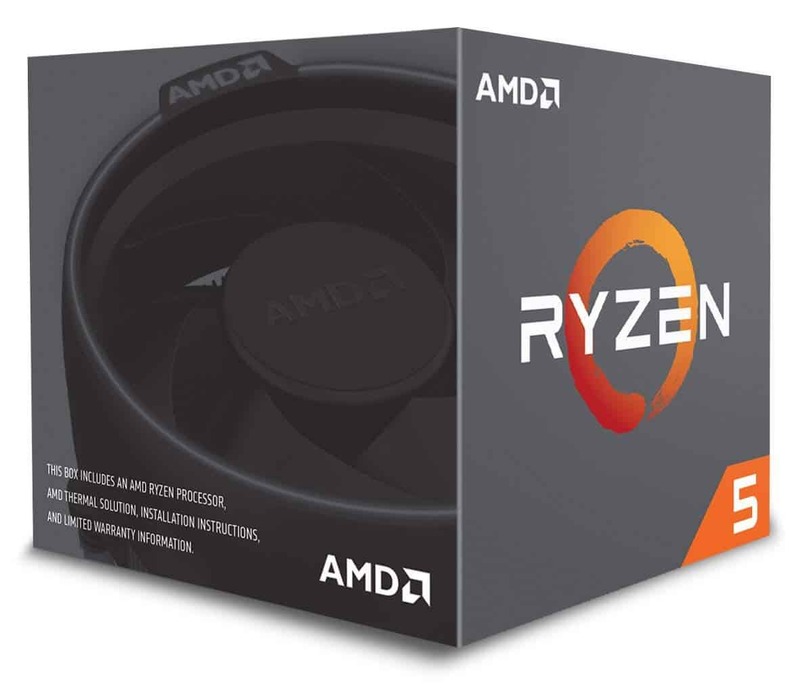 In any case, much like with the budget models, we feel that the Ryzen 5 2600X definitely offers better value for your money when compared to what Intel has to offer at the moment, which is why we would also deign to crown it as the best mid-range gaming CPU, at least for the time being. And finally, we get to the most expensive (and the most powerful) high-end processors. In most cases, these aren’t the most cost-effective solutions for gaming and are usually reserved either for the most powerful of gaming PC and/or for workstation PCs. 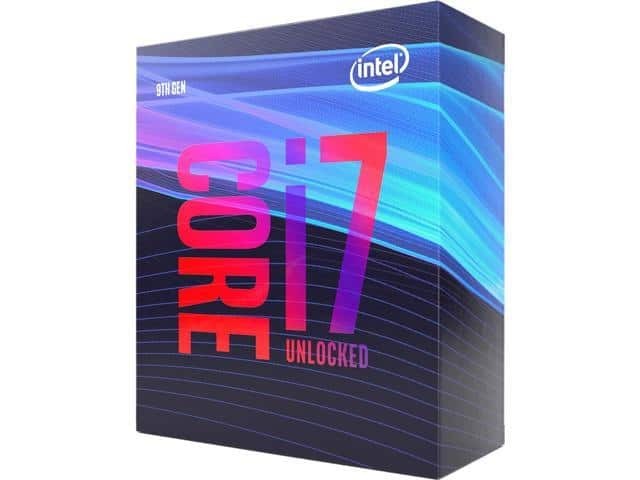 The next step up from the 9600K in Intel’s hierarchy is the i7-9700K, a more powerful and significantly more expensive CPU. Once again, on paper, it constitutes a seemingly minor upgrade. It’s still an unlocked 14nm CPU, with an identical TDP and the same base clock speed, although it ups the core count and ultimately offers even better single-core performance and some serious overclocking potential. If you need a high-end CPU and don’t want to spend an arm and a leg on one, then the i7-9700K would definitely be a good choice. It offers excellent performance and can hit higher clock speeds than any mainstream Ryzen CPU. More importantly, it has a total of 8 physical cores, which helps with multi-core tasks though there’s still no hyper-threading in sight. 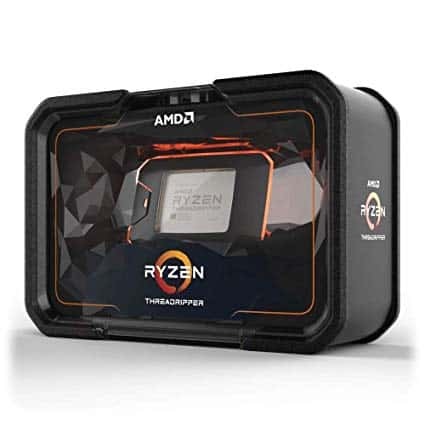 As for the downsides, they are pretty much the same as with the i5-9600K: it’s quite a bit more expensive than the significantly cheaper Ryzen alternative and has no hyper-threading. And while it ultimately still lags behind Ryzen in terms of multi-core performance because of this, the superb overclocking performance more than makes up for it, ultimately making it the best high-end CPU if you’re going for a performance-oriented rig. 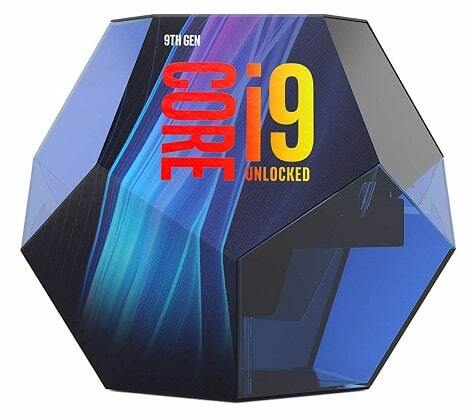 For the final Intel CPU on this list, we have one considerable heavyweight – the Intel Core i9-9900K. The i9 CPUs are the top of the food chain when it comes to Intel’s desktop lineup, and the performance and pricing definitely reflect this. Ultimately, there isn’t much to say about the i9-9900K. Obviously, it constitutes quite a performance jump compared to the i7-9700K, and with a total of 16 threads, no mainstream 2nd generation Ryzen model can match it in terms of either single-core or multi-core performance. But since it’s one of the two most powerful CPUs on this list, its main drawback should be readily apparent: the price. The i9-9900K is one expensive CPU, and frankly, it’s just overkill for most gaming setups. And now that we’re finished with Intel, we get to another Ryzen CPU. 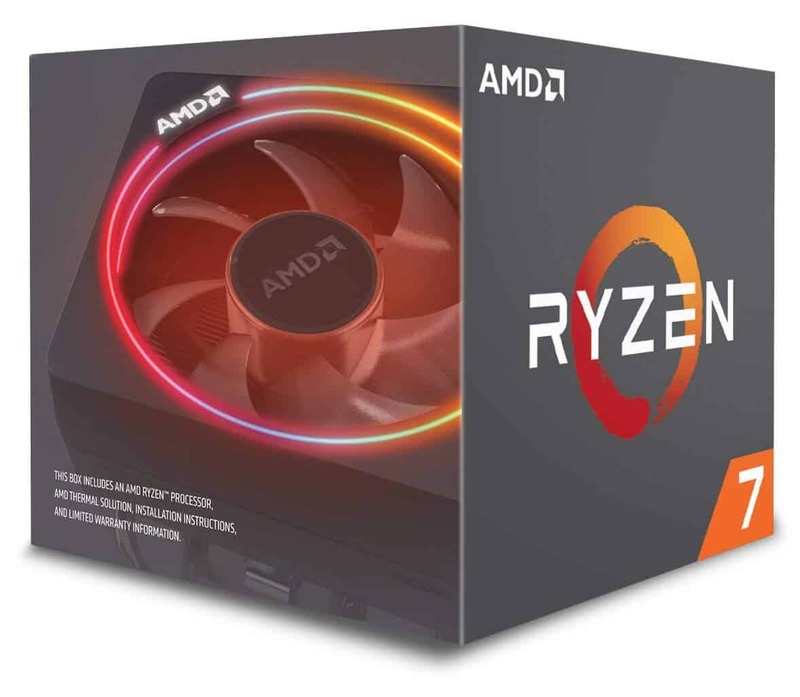 The Ryzen 7 2700X, much like the more affordable 2nd generation Ryzen models, capitalizes mainly on multi-core performance and overall affordability compared to the competition. On the performance front, the 2700X is roughly evenly matched with the i7-9700K, though it can’t quite come close to the more premium 9900K. If you thought it was going to be the same situation as before, you’ve guessed right: the Ryzen offers better multi-core performance, worse single-core performance, and is ultimately quite a bit cheaper than what Intel has on offer. 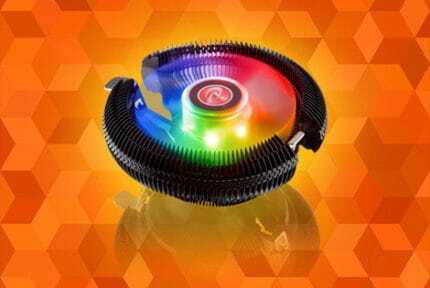 What’s more, like the 2600X, the 2700X comes with a cooler included, and this time, it’s a high-quality Wraith Prism cooler with RGB lighting. So, while the Ryzen once again seems to offer more for less money, it’s overclocking capacity isn’t as great as that of the i7 or the i9 listed above, so someone who’s looking for a more serious performance-oriented solution would likely have more incentive to swing over to Intel’s side in this price range. For the final entry on, we have a real monster – the Ryzen Threadripper 2920X. Now, this CPU is a downright beast, and while it’s actually the cheapest and weakest of the second generation Threadrippers, it’s even pricier than Intel’s i9-9900K. As you can see from the specs, the 2920X really is something. With a total of 12 cores and 24 threads, it is downright the best CPU on this list when it comes to multi-core processes. Of course, the i9-9900K, as usual, offers better single-core performance, though the Intel variant is also cheaper this time around. But much like the i9 and like any other pricier Threadripper, this CPU is overkill when it comes to the vast majority of gaming PCs, and for a number of reasons. For one, it is very expensive and is a lot more power-hungry than your average desktop CPU, but it also uses a special TR4 socket, which means less flexibility when it comes both to the choice of motherboard and any potential future upgrades. Intel vs AMD – Which Is Better For Your Needs? If you asked anyone which CPU you should pick for a gaming PC as recently as 2016, the answer definitely would have been one of Intel’s Core CPUs. Why? 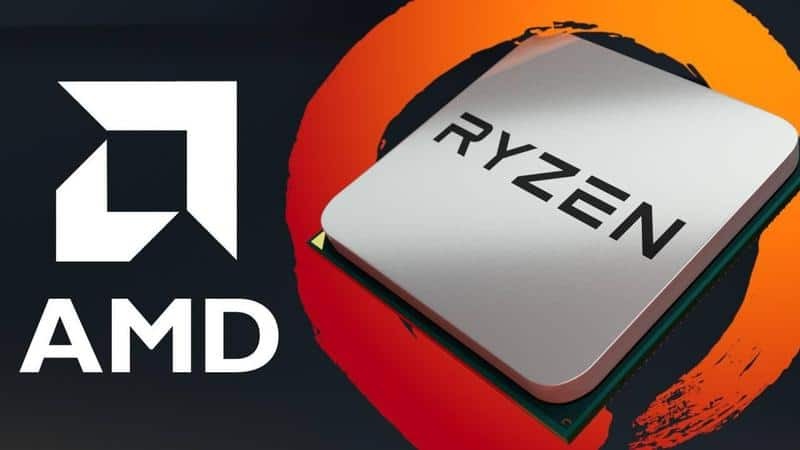 Well, after the release of their FX series of CPUs, AMD faced something of a stagnant period, and no new CPUs architectures were released until Ryzen came about in 2017. As such, all that AMD had to offer were outdated 32nm CPUs that could compete solely through raw power and overclocking, all the while they couldn’t match even the newer hyperthreaded dual-core i3 models of the time. 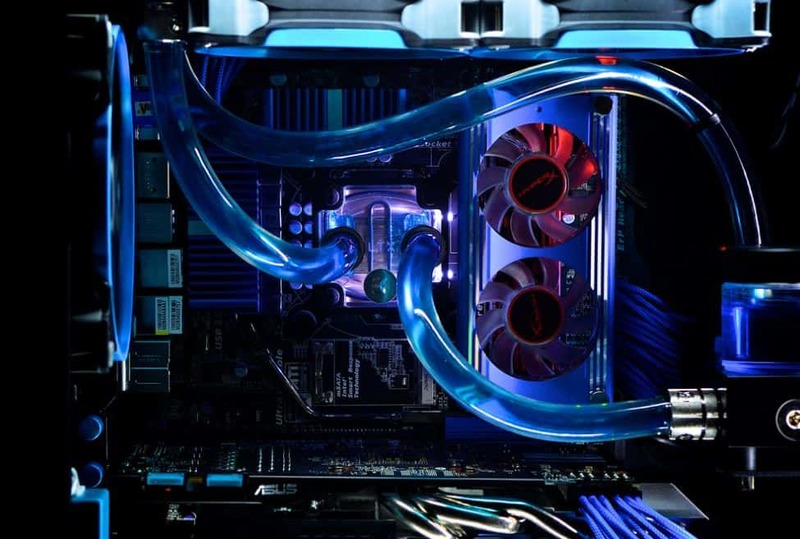 Of course, the situation has obviously changed, and now both Intel and AMD once again have perfectly viable solutions for all kinds of PCs, including ones mainly intended for gaming. When comparing Intel Core and AMD CPUs, it’s evident that Intel consistently delivers better single-core performance while Ryzen CPUs offer better multi-core performance. In regards to overclocking, AMD has the advantage of all their Ryzen CPUs, even the cheapest ones, being unlocked and easy to overclock. However, the Intel K models do have more overclocking potential and are able to reach clock speeds significantly higher than what the mid-range and high-end Ryzen models are capable of. We should note that single-core performance is more important for gaming while multi-core performance is more relevant to certain professional applications and general desktop use. As such, an Intel CPU will almost always offer better in-game performance, although the difference is usually marginal at best and comes down to a handful of frames. And finally, since AMD has rolled out some integrated Vega graphics with some of their 2nd gen Ryzen models, we should also point out that these are a lot better than what Intel has to offer. As already said in the overview of the 2200G, this is ultimately not very relevant for serious gamers who will buy a dedicated GPU, but apart from being a convenient backup, those who are looking to get the cheapest gaming PC possible, the Vega integrated graphics are perfectly viable for 720p gaming. As we’ve already mentioned multiple times throughout the article, AMD loves undercutting Intel with their Ryzen CPUs. And as we’ve already mentioned, the disparity in in-game performance is easy to overlook in most cases and there’s always the fact that integrated Vega graphics are so much better than Intel’s integrated graphics, ultimately making Ryzen a much more appealing solution for those who are on a budget. Furthermore, we should also note that AMD’s stock coolers are also a lot better than Intel’s, which is an important detail if you’re pinching pennies since not only would you be getting a cheaper CPU, but you also wouldn’t have to invest in an aftermarket cooler. The chief concern that many gamers have when picking a CPU is that it might not be powerful enough to handle the GPU that they have their eyes on i.e. the CPU might bottleneck the GPU. Essentially, when a CPU cannot “keep the pace” with a more powerful GPU, a portion of the GPU’s resources is simply sitting idle because the CPU cannot issue the instructions quickly enough. As such, pairing a weak CPU with a high-end GPU is usually a bad idea. Now, bottlenecking isn’t nearly as much of an issue as some make it out to be. In general, a budget CPU will be able to handle any low-end or mid-range GPU such as the GTX 1060 or the RX 580 with minimal bottlenecking. Meanwhile, a mid-range CPU is usually more than capable of handling even the most powerful high-end GPUs such as an RTX 2080 Ti. That said, high-end CPUs such as an i7, an i9, a Ryzen 7 or a Threadripper are best left for multi-GPU setups or in the case that you intend on using some CPU-heavy programs that might require more processing power than your average PC game. Ultimately, if you want to see how the specific build that you have in mind would fare when it comes to bottlenecking, we recommend checking out a bottleneck calculator. And now, to declare the winners! 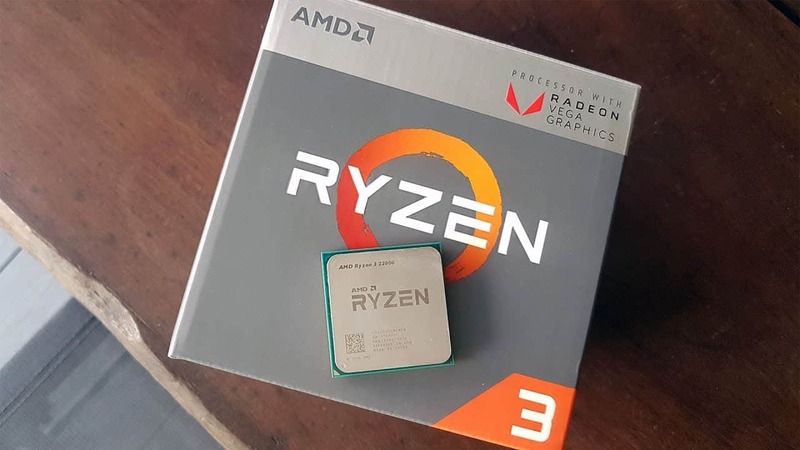 If you’re looking to get the best bang for as little buck as possible, then you just can’t go wrong with the Ryzen 3 2200G. It is very cheap, offers performance comparable to that of the slightly pricier i3-8100, all the while its excellent Vega 8 integrated graphics chip is viable as a main graphics solution for those who can’t afford a dedicated GPU and are content with gaming in 720p. In the mid-range, it’s a bit tougher to pick a winner, but if we had to split hairs, we’d choose the Ryzen 5 2600X over the i5-9600K, once again due to the pricing. True, it’s not quite as powerful as the i5 when it comes to single-core tasks and overclocking, but we feel that many people would prefer a comparably powerful CPU that’s both cheaper and comes with a decent stock cooler in the box. And finally, for the high-end solution, we’d go with the i7-9700K, hands-down. Sure, the Ryzen 7 2700X is the cheaper alternative once again, but if you’re investing in a high-end CPU, then the one with the higher performance potential and greater overclocking capacity is ultimately the better choice.